Irukandji is dedicated to effecting the conservation of the ocean through interaction, display, communication, education, research conservation and calls to action. Fun – Through interactive learning. 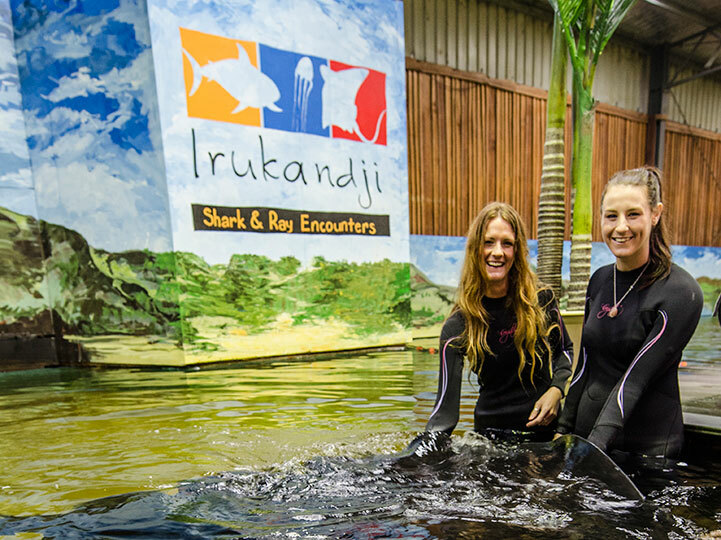 Challenging – The unique and interactive educational guided tour aims to create courage in visitors whilst they learn about some of the world’s most misunderstood marine species. The volunteer program will both challenge and grow students into responsible, capable, courageous citizens of their field. Diversity – Through the diversity of research, interaction, education and myth blasting messages customers will achieve an experience and educational outcomes they never thought possible. The development of best husbandry practices relevant to each species (welfare) and individual animal. Relevant – The world’s oceans are under ever increasing anthropogenic pressure, causing an array of marine species to become extinct. Conservational and educational messages at Irukandji will aim to create awareness of these ecological stresses, which will in turn enhance the measures taken by the public to conserve these environments for future generations and utilise sustainable technologies such as aquaculture. Memorable – It is essential to create programs and activities that visitors will talk about for years and remember for a life time. Journey – Every visitor is to receive a journey involving an interactive guided experience along with intrinsically important conservation messages supporting the world’s oceans, resulting in a unique and creative experience like no other. Conservation – Many projects run by third parties will be promoted, supported or funded, Irukandji will allocate 5% of the annual profit to research and conservation efforts of the world’s delicate natural ecosystems annually, along with ongoing support. Over all Irukandji aims to be an amazing place to work and visit, a resource for a variety of student levels, a local hub for conservation, to embrace the community and to be embraced by the community.